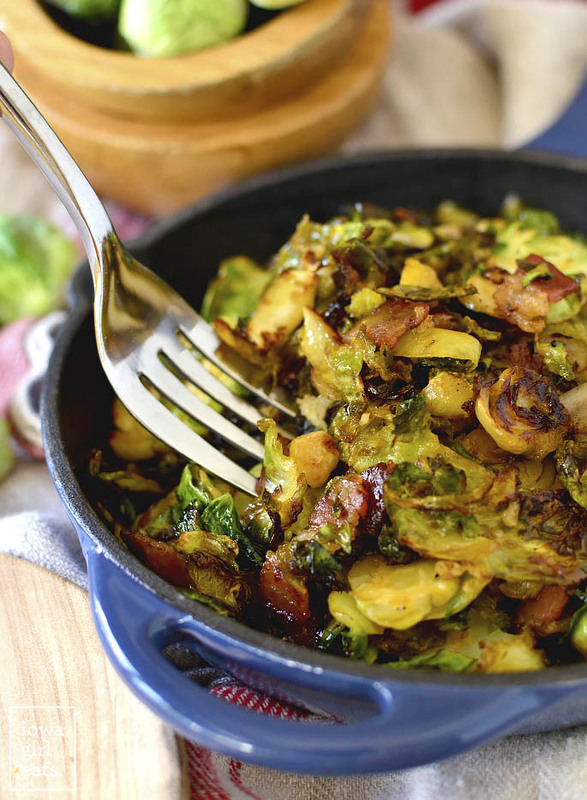 Maple Bacon Brussels Sprouts are an irresistable gluten-free side dish that’s made in one skillet and flavored with pure maple syrup and bacon. Simple yet scrumptious. Hi hi! :) Pardon my absence from the blog last week – it was a weird one. If you follow me on Instagram Stories then you may know I was engrossed in the Ford/Kavanaugh hearing and vote at the tail end of the week. Truly it was all I could think about and got little else done besides keeping my children alive. It was good to have the weekend to calm down, drench myself in oils, and pump myself up to take on the upcoming week. Which brings us to the present. HAPPY MONDAY! Have you done anything fabulously fall over the past couple of weeks? Visited an orchard? Made apple crisp? (<< OMG that apple crisp…) Gone to the farmer’s market? We bought season passes to a local pumpkin patch with lots of activities – goats to feed (pellets and not Cam’s fingers, though he’s made it his personal mission to add them to the menu,) a mud pie kitchen, and giant jumping pillow that doubles as a splash pad as it collects daily dew and drizzle. 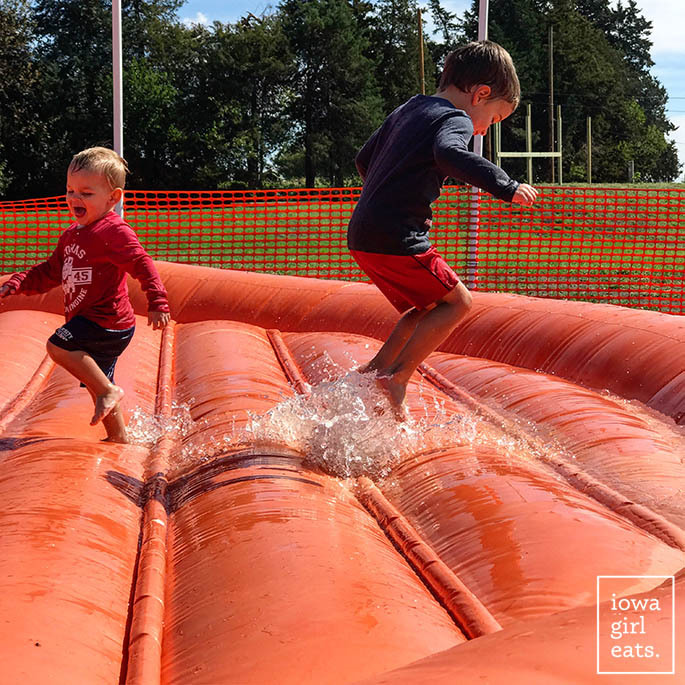 Pre-kids-Kristin may have looked at these little boys in this moment and wondered, is that Mom going to tell her children to stop jumping and slip-sliding in the gross water on this nippy, 60 degree day? Post-kids-Kristin invites her to try. ;) All that to say, we’ve also been making the most of these past few weeks. 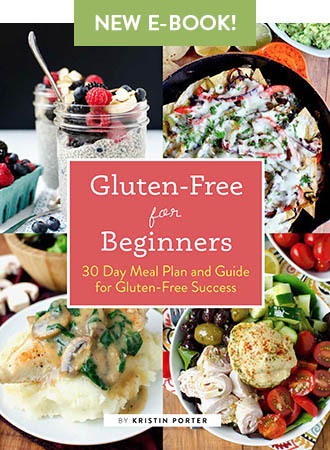 Like cooking up gobs of fall-friendly recipes including Ben’s Beef Stew, gluten-free Homestyle Chicken and Noodles, and pan after pan of Maple Pumpkin Oatmeal Breakfast Bars and Apple Cinnamon Oatmeal Breakfast Bars. 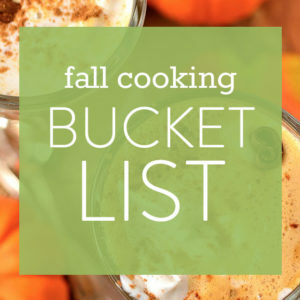 I need to add Maple-Bacon Brussels Sprouts to my Fall Cooking Bucket List because they are a must try during fall – peak brussels sprouts season! 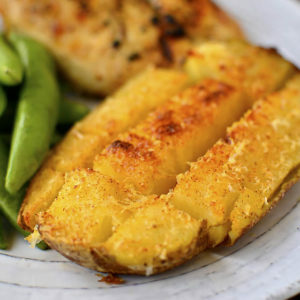 This side dish is everything you think it is and more. 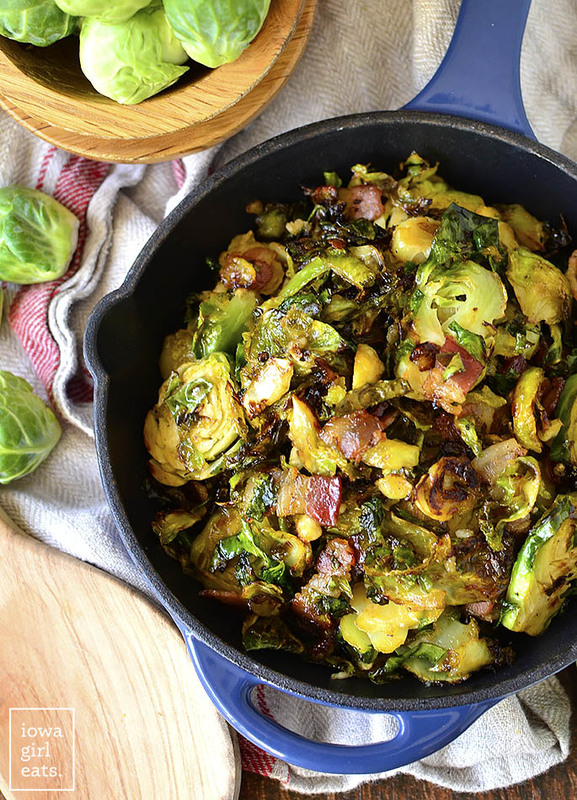 The reason I’m so obsessed is of course because the combination of bacon, brussels sprouts and a drizzle of maple syrup is so good you’ll scream, but also because you literally add everything into a skillet and let it cook together. 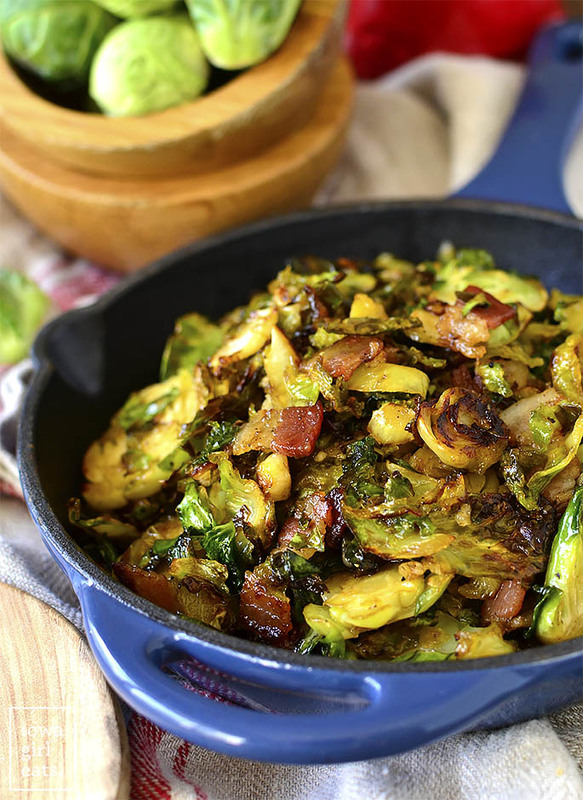 The bacon sizzles and crisps as the brussels sprouts soften and braise in the tasty bacon fat. 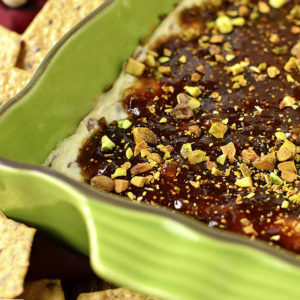 Add minced garlic and a drizzle of pure maple syrup and you’re going to be in fall-inspired, side dish heaven. Imagine if that was a real place for a moment. Wow. 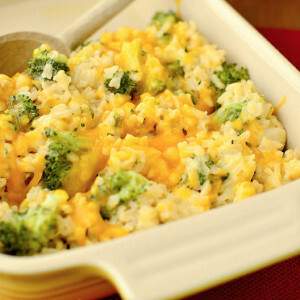 I’ve been making this super easy side dish a lot over the past couple of weeks. I let it sizzle on the burner next to whatever I’m cooking as the main dish for dinner (pairs well with burgers and pork tenderloin, I might add!) giving it a stir every now again. Simple and scrumptious. What more could you ask for? 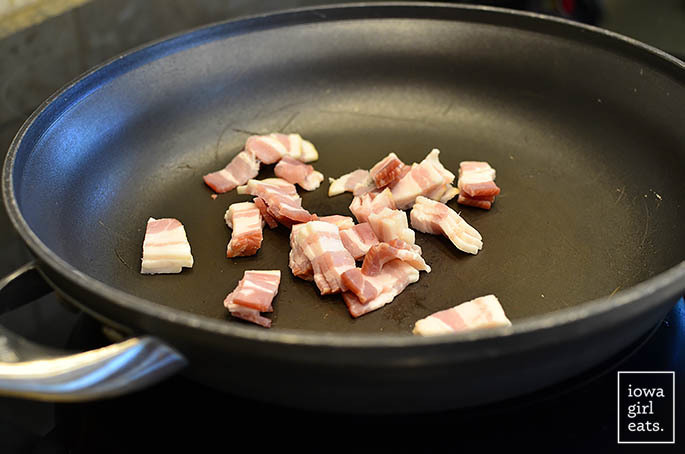 Start by adding 3 slices chopped bacon to a large, 12″ skillet then turn the heat to medium. As soon as the bacon begins to sizzle, add a 9oz bag sliced brussels sprouts. I don’t use these bags of pre-sliced brussels sprouts for any of my raw brussels sprouts salads – they’re not shaved thin enough for my liking to eat raw – but for cooked dishes like this one they are SO convenient. 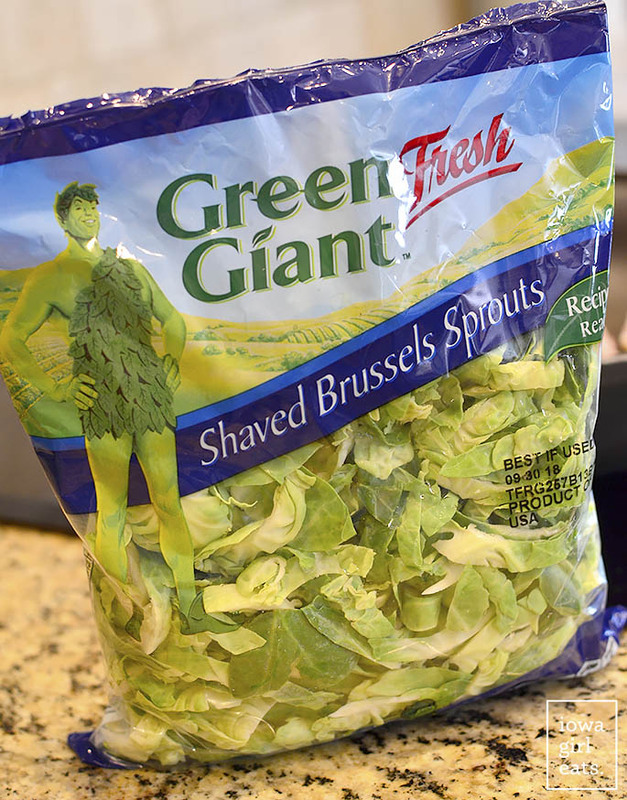 That said, if you can’t find these bags (I think Trader Joe’s has a version too,) you can slice 12oz whole brussels sprouts which should equal roughly 9oz after trimming. 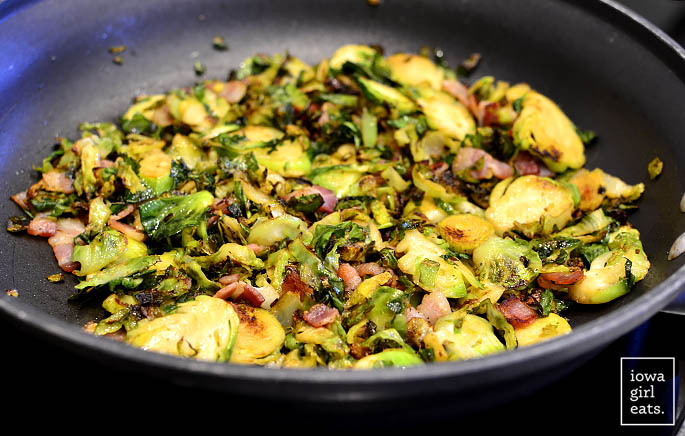 Add a drizzle of extra virgin olive oil (just a little – like a teaspoon or even less,) to help the bacon continue to sizzle, then cook until the bacon is crisp and brussels sprouts are golden brown and tender, 20-25 minutes, stirring every now and again. Season with salt and lots of black pepper. Last step is to add 2 cloves minced or pressed garlic then saute for 1 minute, followed by drizzling in a scant Tablespoon pure maple syrup. Stir to combine then serve. 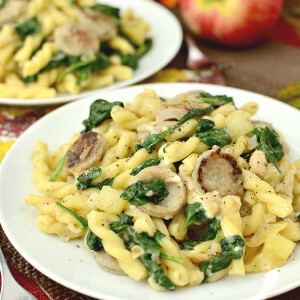 I hope you love this EASY, mouthwatering, fall-friendly side dish recipe! Enjoy! 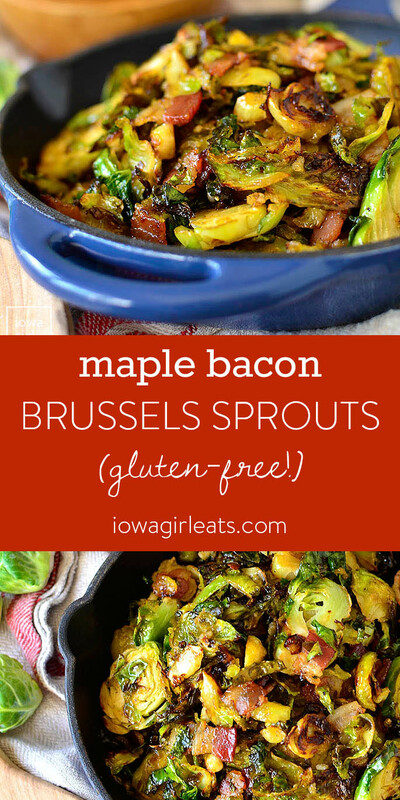 Maple Bacon Brussels Sprouts are an irresistable gluten-free side dish that's made in just one skillet and flavored with pure maple syrup and bacon. 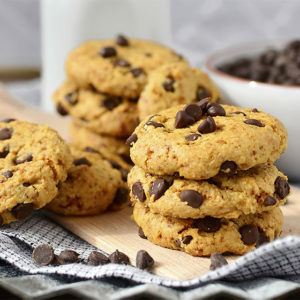 Simple yet seriously scrumptious. Add bacon to a large, 12" skillet. Turn the heat to medium then, when the bacon begins to sizzle, add the brussels sprouts and a small drizzle of oil. Saute, stirring occasionally, until both the brussels sprouts and bacon are golden brown, 20-25 minutes. Season with salt and pepper. Add garlic then saute for 1 minute, or until very fragrant. Add maple syrup then stir to coat. Taste then add more salt, pepper, and/or up maple syrup if desired, and then serve. These sound luscious, Kristin! BTW, I made the Maple Pumpkin Oatmeal bars for a bake sale yesterday, and they were the first thing totally gone! 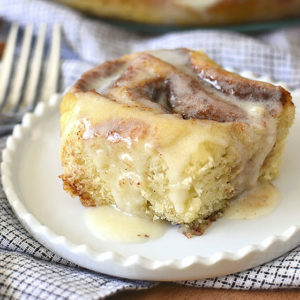 Everyone loved them, and the fact that they were so tasty with only the maple syrup for sweetener! 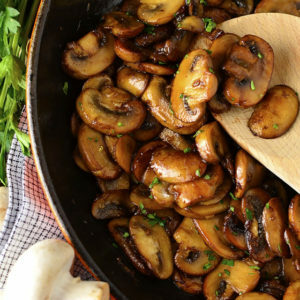 Question: have you ever doubled the recipe in a 13×9 pan, and what would that look like, time and temperature wise? I make your various oatmeal bars a lot, so that would help me a lot! Oh my gosh, that warms my heart! And yes, I double the recipes for a 9×13″ pan all the time. They are usually done in the same amount of time and I still check on the bars at the 25 minute mark to see if they need foil placed on top if the sides are browning too quickly. 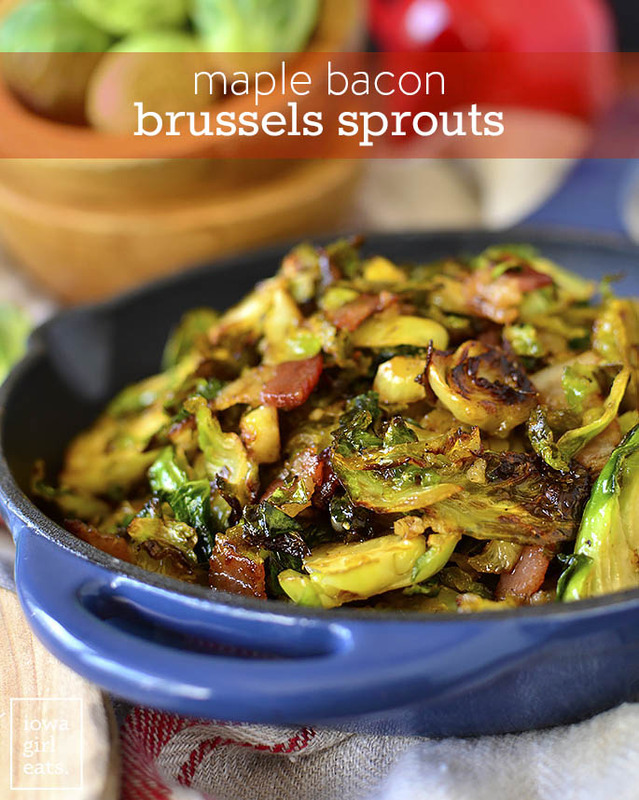 Ok, made these just now and I would let the bacon cook a couple minutes past sizzling before adding the sprouts. The sprouts got too burned and the bacon wasn’t done yet. Still, TOTALLY DELICIOUS. thanks for another winner!! I’m so glad to hear it, Lydia! Thank you for your feedback! 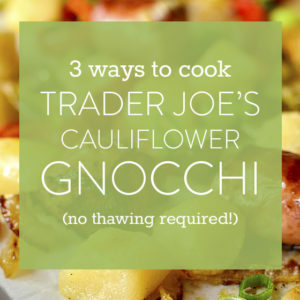 I love how you made this extra easy with pre-sliced brussels sprouts! Ha! I usually buy mine at Trader Joe’s and cut them myself. 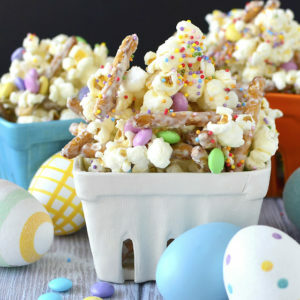 I love the sweet/salty feel to this recipe! 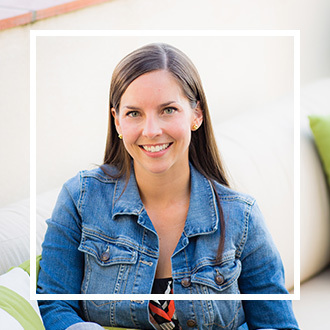 They’re sooo good – I hope you give them a try, Kelli! This sounds amazing! I’m going to have to look for the shaved brussel sprouts in the grocery store on my next visit! Love this one. 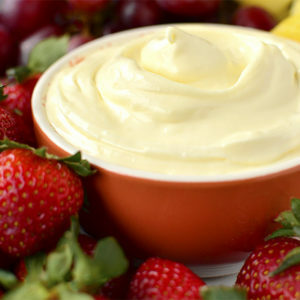 So simple to make and so delicious. Nice balance of sweet and salty flavors. 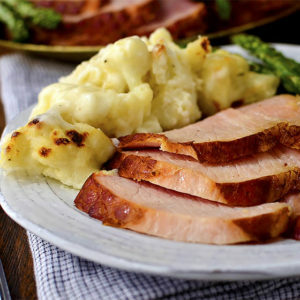 Made this dish for Canadian Thanksgiving this past weekend and it was a great hit! Even my kids who don’t eat Brussels Sprouts tried and liked it! I had chopped everything up and cooked the bacon in advance so it was very quick to throw it in a pan and get it on the table with everything else. Thanks for the great recipe! I made this tonight. It was delicious. The picky eater in our family even liked it. Thank you! As if I needed another reason to love brussels sprouts! Can’t wait to try this recipe. We love the brussels sprout parmesan pasta recipe of yours. This one will be made very soon! 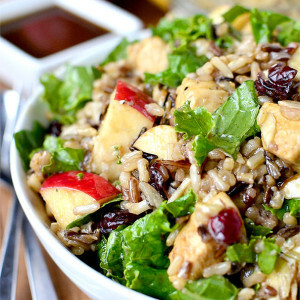 This is great – really easy and has great flavors! I paired with another IGEs recipe, pork tenderloin with fig and chili sauce – also one to make. Excellent! I had some left over and it was delicious as a salad. I was too hungry to take the time to heat it up! 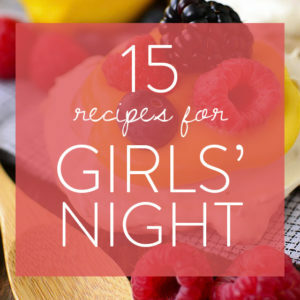 Make both of these recipes – you will be pleased! Thanks so much for the review, Jim! Really appreciate it!